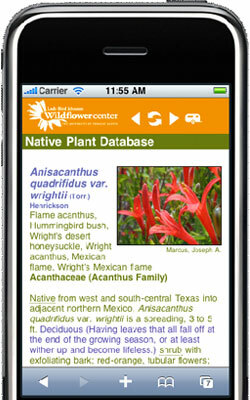 As a service to the public, the Lady Bird Johnson Wildflower Center collects information on native plant societies, conservation groups, governmental agencies, botanical gardens, arboreta, and other plant-related organizations throughout North America. Click here to add your organization to the directory. Affiliates are organizations that partner with the Wildflower Center to encourage the preservation and use of native plants in different regions of the country. We promote landscaping with native plants and offer education and support for members.